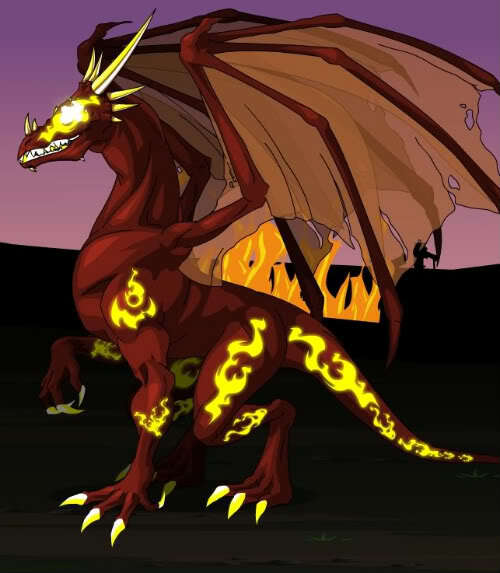 Akriloth: I AM AKRILOTH, THE MOST POWERFUL FIRE DRAGON THIS WORLD HAS EVER SEEN! Akriloth: WITH THE FIRE ORB IN MY POSSESSION YOU HAVE NO HOPE OF EVER STOPPING ME. Akriloth: I WILL BURN THIS LAND TO CINDER AND RULE IT WITH MY ARMY OF FIRE! Akriloth: SO THE RUMORS OF THE BLACK DRAGON BOX WERE TRUE. Akriloth: IT IS NO MATTER, THOUGH, FOR I AM FIRE ITSELF! 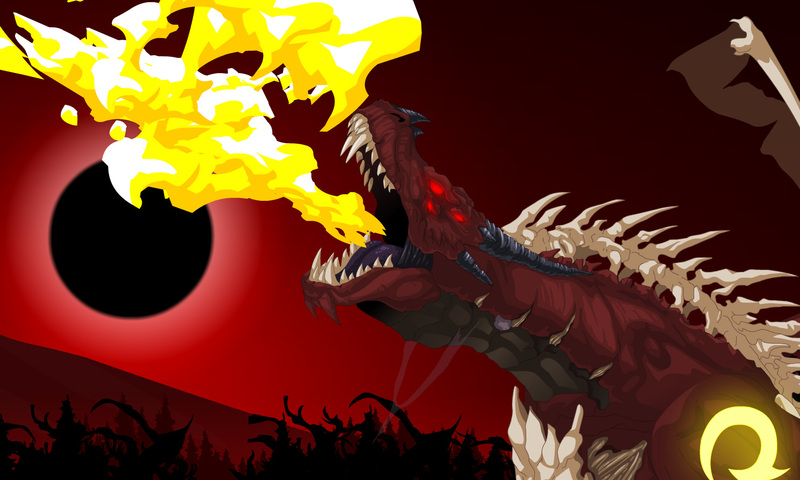 Akriloth: NO NEW-BORN DRAGON CAN COME CLOSE TO MY POWER WITH THE FIRE ORB INSIDE ME. Akriloth: REMEMBER THIS DAY, <Character>. I SPARE YOU ONLY SO YOU CAN WATCH AS I BURN THIS LAND TO THE GROUND! Akriloth: DIDN'T YOU LEARN LAST TIME, "HERO"? I TOLD YOU, YOU WOULD WATCH THIS WORLD BURN! Akriloth: FOOLISH HUMAN! THIS TIME, YOU BURN! Akriloth: What have you done, human?! I remember fire and burning and humans running from my very shadow! Akriloth: I WILL NOT BE EXTINGUISHED! I AM FIRE AND DEATH AND DESTRUCTION AND YOUR WORLD WILL BURN! -- ArchMagus Orodalf for correction. 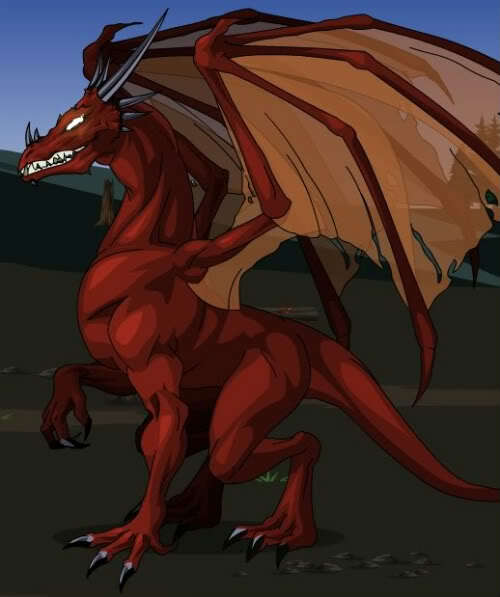 -- Occavatra for Dueling Timelines image.